Piazza Cavour and the Torre dell’Angelo. 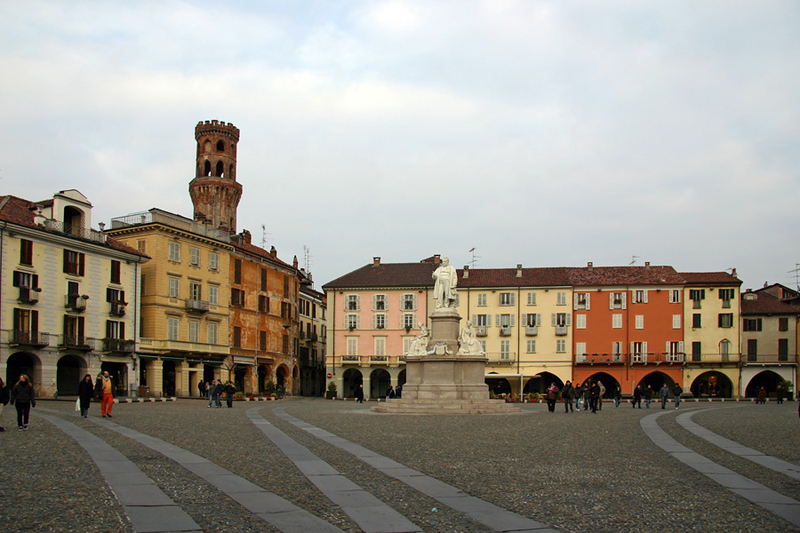 Vercelli, Italy. “‘Multas per gentes et multa per aequora vectus’. Travels and Travellers from Ancient to Contemporary Age” will take place on 17th-18th-19th October 2018, in Vercelli, Italy. The specific methods and different approaches that characterize the historians’ craft sometimes make difficult to set up a dialogue that goes beyond traditional periodizations. Despite of shared themes, historians rarely operate in a common area of discussion. In order to promote a wide confrontation, the Second Edition of “Historical Debates” will focus on the theme of travel as one of the most recurring issues of historiographical reflection, with the purpose to promote a debate beyond these traditional divisions. Humanity has never been limited to frontiers. From Ancient Times to Contemporary Age societies have always met and cultures interacted and mixed by crossing borders and travelling. -Travel memories: historical accounts written by intellectuals, diplomatists, ecclesiastics, soldiers, merchants, scientists etc. -Migrations: temporary or permanent movements of groups of people. -Discoveries of new lands: colonization or exploration of continents or places madeby explorers and scientists, whether historians or technicians, space travels. -Grand tours and study trips from Ancient to Contemporary Age. -“Forced” journeys: people leaving their own land for political reasons. -Pilgrimages and memorial trips: journeys towards places of worship and historicalcultural heritage. The Seminar will be held at the Department of Humanistic Studies in Vercelli from 17th October to 19th October 2018. PhD students and young researchers interested in participating are warmly invited to submit to all our contacts a proposal including a brief CV (max. 5000 characters, spaces included), the name of the University in where they study, title of presentation together with a short abstract (max. 3000 characters, spaces included) within 15th June 2018. Proposals of students from University of Eastern Piedmont (except for the organizers) will not be accepted. Selected speakers will be contacted within 29th June 2018. Publication of papers with a scientific publisher is expected.